Informing you of the work behind the scenes on the Web site. Tried to set up several tournaments and they all failed? Read Evo's views to learn how your next one into a roaring success! The user guide is FUMBBL's community encyclopedia and can become one of the best tools on the site for everyone. 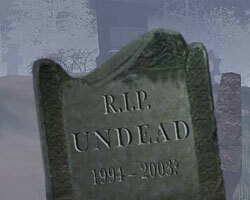 Will the Undead go the way of the dodo? A rundown on the rumors, gossip and scuttlebutt about the BBRC rules review. A fireside chat with one of FUMBBL's stars. GLN goes behind closed doors to meet the officials who make Blood Bowl tick. Goblins: Here Comes The Fun! Sick of getting maimed by bashy teams? Bored by one-turners? Annoyed with elusive elves? Then join the flinging fun!